US Ex-Im Bank has announced that its Board of Directors has approved an export finance loan of US$ 9 million as part of the debt financing for a 11.6 MW solar PV project in Rajasthan, India sponsored by KSK Energy Ventures, an Indian power developer. Debt is being co-financed by IDBI Bank Ltd. Portland Advisers is acting as financial adviser to US Ex-Im Bank. The solar panels for the project have been procured from Miasolé, a pioneer in the development of copper indium gallium selenide (CIGS) thin-film PV solar panels which are among the highest-efficiency and lowest-cost solar panels. 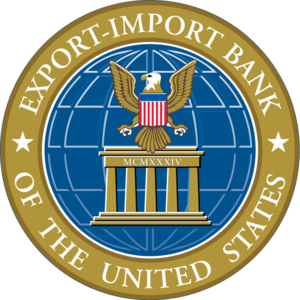 Click here for the official press release from US Ex-Im Bank. On 31st October 2011, O3b Networks, advised by Portland Advisers and HSBC, achieved Financial Close on a $137m incremental financing round for the construction of four additional satellites that will boost both capacity and redundancy its MEO satellite constellation. The additional financing comprises an US$85m Coface-backed Senior Debt Facility provided by HSBC, ING, CA-CIB and Dexia and an additional $52m of equity provided by a group of the existing shareholders and a new investor, Luxempart. O3b’s shareholders include leading satellite operator SES, Google, the global cable operator Liberty Global, HSBC Principal Investments, the Development Bank of South Africa, Sofina and Satya Capital, with SES now the largest minority shareholder. For more information on this transaction, or on related topics, please contact Nick directly on nick.flitterman@portlandadvisers.com or +44 20 71 83 83 85. Also see the Case Study describing the role Portland Advisers. Press coverage of the financing can be find by clicking on the links below.